Skip Wade did a very good job in explaining Organic Chemistry concepts. Glossary and problem sets put in the end of each chapters are very good .They really help you understand the concept more. I recommend you to also buy the Solution Manual. The author has done an excellent job presenting the material in this textbook. The use of colored text and invaluable illustrations really make the lessons clear. There is no need to highlight or make side notes (something I often do) because the text is organized so well. The problems at the end of every section make you focus on what the author is trying to convey. By doing these problems religiously organic chemistry is easier to understand and can actually be fun (well, relatively at least). Note: I recommend getting a really cheap used 4th edition solutions manual to go with the 5th edition book. There are very few differences and it is VERY helpful in terms of understanding where you're going astray with those end-of-section problems. This manual contains helpful explanations, not just answers to problems. 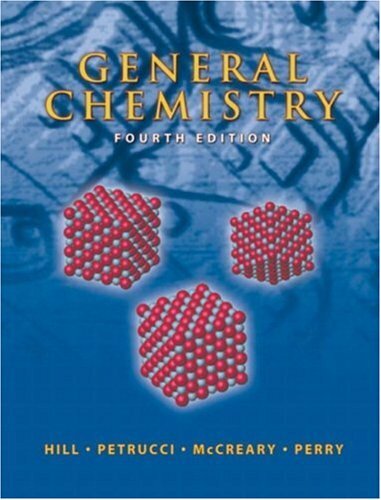 Overall "Organic Chemistry 5th Edition" is one of the best scientific textbooks I have ever seen. 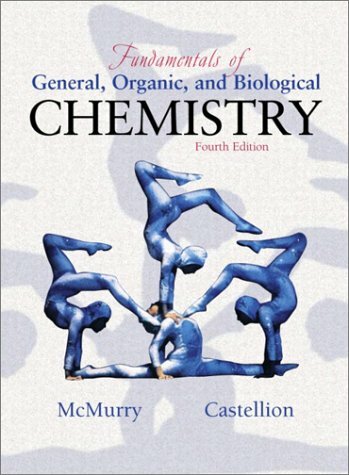 Easy to understand organic chemistry book? This textbook is excellent. It makes organic chemistry much easier. The illustrations are great. The book goes step by step, so you don't get lost. You should read the chapters in order. The concepts and terminology build up from previous chapters and you'll be lost without them. Unfortunately, all the teachers I've had jump around a lot. The most important chapter in this regard is chapter 6. You won't know what the book is talking about in later chapters without reading this one. The earlier chapters are just as important to read, but instructors tend to not skip them as often. Also, the solutions manual could be better. It sometimes gives no information about how the answer was solved. Overall, I would definitely recommend this book. It is much better than any other organic chemistry book I've ever read. I began self-studying organic chemistry several months ago using two textbooks along with the accompanying solutions manuals which I had selected because they were being used by two local colleges. A couple of months ago I read the reveiws about Wade's textbook and Simek's accompanying solutions manual in this space and decided to give them a try. In my opinion, both books are far superior to the books I started with. I strongly disagree with the reviewer who wrote that the line drawings make the solutions manual hard to follow. L.G. "Skip" Wade has done an exceptional job at writing a textbook in probably the most merciless field of human endeavor. First, the physical aspect of the book is worth noting; the illustration is pleasant yet remain faithful to the scientific accuracy it wishes to convey. The glossy paper is sturdy, preventing the frequent mishaps of tear and wear so common to the undergraduate life. Wade does not condescend as an author (a particular attribute that probably increases the likeability of an author/professor) ; he matter-of-factly admits to having made a "C" on his second organic test, a testament to the difficulty of the subject. He acknowledges the difficulty of organic chemistry, he concurs to the fact that memorization is indeed required, yet he offers the comforting assurance that organic chemistry is indeed the logical subject it has always been touted to be, as evidenced by the structured organization of the book. 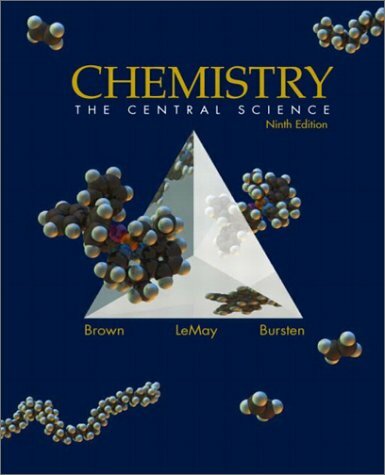 The book begins with a review of general chemistry (Lewis structure, acids and bases, molecular orbitals, and the like) and sets to introduce briefly the electron-pushing principle so fundamental to organic chemistry. Alkane is covered next, introducing the concept of conformational analysis, polarity, intermolecular forces, and general introduction the other functional groups. The next chapter is on the study of chemical reactions, followed by stereochemistry (perhaps the hardest chapter). 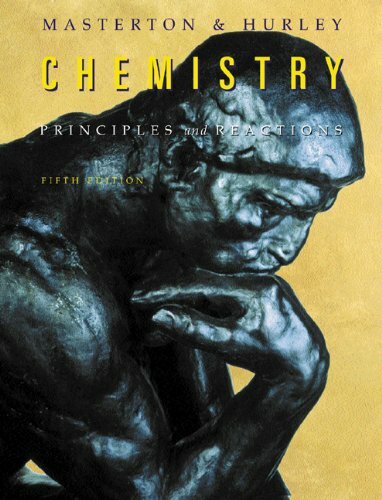 Maybe it is safe to suggest that the most logical part (fundamental principles) of organic chemistry resides in these first five chapters, while the dreadful memorization will soon ensue. Chapter 6 onwards introduces the major functional groups (alkyl halides, alkene, alcohols, alkynes), where the general trend is to present the nomenclature, the uses, the synthesis, and the mechanism; in that order. Accompanying summary of informations so essential to the "memorization" is found at the end of every chapter.The underlying principles common to all field of organic chemistry are exemplified in the illustrative reactions of the functional groups. Spectroscopy are introduced in Chapters 12 and 13, and the chapters following them are devoted to introduce the remaining major functional groups with knowledge of spectroscopy already presented. Chapters 23, 24, and 25 discuss the organic compounds of particular interest to the biologically-orientated, while Chapter 26 concludes the book with a survey of synthetic polymer. 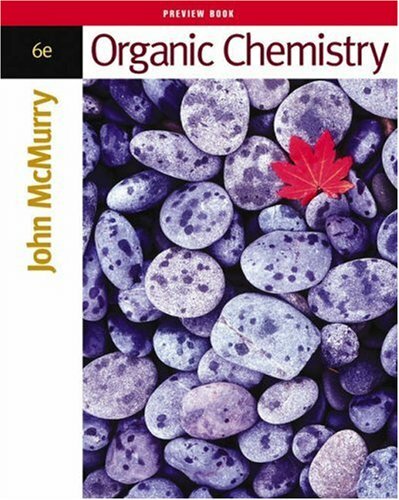 McMurry's Organic Chemistry is a great textbook. The text is clear and uncluttered, especially compared to others. The graphics organize the information well. Also, the back of the solutions manual has an organized summary of the reactions. If you are using it as a supplement to your assigned book, I find that the previous (5th?) is just fine, and is probably much cheaper than the new edition. I used this text for 2 semesters of Organic Chemistry. I thought it was fantastic, with very colorful, helpful electrostatic potential maps. It showed clear reaction mechanisms and gave a summary of all learned reactions at the end of the chapter. If you need to learn Organic chem, McMurry is the way to go. This is an excellent text! I have one criticism though. Why must a new edition come out every year/every other year? Its rediculous! The books are practically the same but the bookstore will never buy the old version back. The 5th edition cost me 120$. Thats pretty darn expensive!! McMurry's text is a very friendly, gentle intro to organic. It's a thoroughly enjoyable read, but it doesn't teach you what you need to know. Explanations for important mechanisms are usually very brief, and the problems included are usually very basic and general (the spectroscopy and synthesis problems, in particular). If you're looking to become a chemist, this is not the book to learn from. I'd recommend Vollhardt and Schore's textbook, or any number of sophomore-level texts that will give you the skills you need to approach complicated problems more successfully (i.e., on exams or out in the industry). I recently took chemistry part II after not having chemistry for several years. This book was a life saver. I was able to pull many examples from it to guide me when I did my homework. 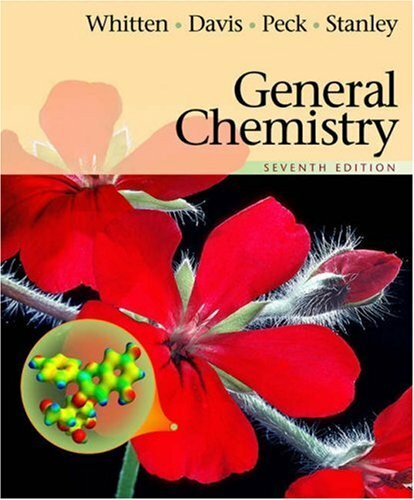 Chemistry is tough enough by itself, but this book really helped. All the answers are there so you can test yourself on one part, and then see the answers with explinations on another part. Everything was easy to understand in this book. I highly recommend this Study Guide. This Study Guide will save you a lot of time at the tutor, and keep you from pulling your hair out while figuring out chemistry. This bestseller helps readers master basic skills with its clear and easy-to-follow presentation of key concepts. 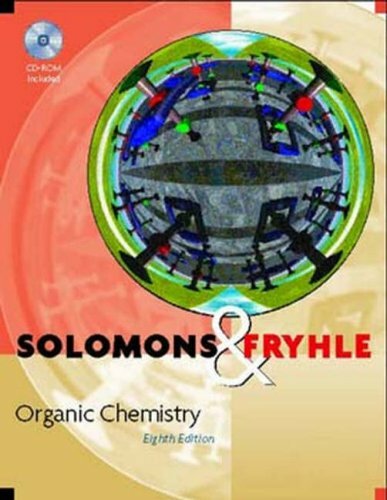 It focuses on the important ideas of organic chemistry and backs them up with illustrations and challenging problems. The authors' acclaimed writing style makes this thorny subject easy to grasp and comprehend. The new edition brings the book to the forefront of the latest research developments. Organic Chemistry is often mistaken to be a subject to be of rote memorization. having a bachelors in chemical engineering, i was introduced to organic chemistry during my junior days. i always hated organic chemistry for the way i was presented was a mere reaction and the reagents. 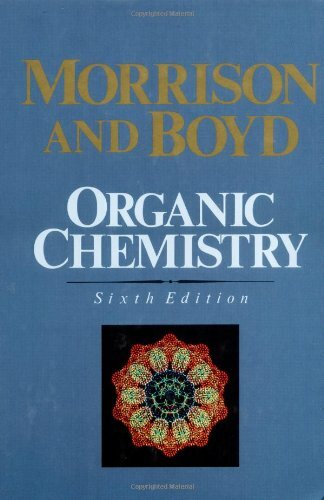 Entering the graduate school, i was forced to learn organic chemistry, whereby i accidentally encountered this book. Reading the first few pages of the book, it was damn lucid to my mind, that organic chemistry is not memorization of a bunch of reactions, but its LOGIC. believe me, i as much as everybody hated org chem and i can't believe that i am writing a review on this book. coming to the book, this book is intended to be used as two semester course. the first semester you usually end up reading the first 13 chapters. It is here i recommend to use caution, as they form the foundation for the remaining chapters. The first chapters through alcohols and alkenes is presented excellently with the author meticulously providing the reaction mechanisms. although the material presented is overwhelming to the intro students, you have to be patient and always make sure you do your homework by solving the problems and reviewing the concepts before you proceed to the next level. The author has presented an excellent recap at the end of the first 13 chapters. Quite honestly, it will teach you the logic behind the product formation, which u should be able to deduce by logic. it is the second part of the book, where it gets a little stinky. the author didn't provide a good recap at most of the reactions in the chapter ending, but nevertheless presented the logic, behind the formation of the product, so if you can recap yourself after each chapter with notes, then by the end of the next 13 chapters you should pretty much be able to reasonably predict the product for almost most of the reactions. concepts like the use of different oxidising and reducing agents, enolate formation and the carbonyl compounds have been dealt almost thoroughly. i would say it could be dealt in further detail, but it suffices for someone who wishes to learn organic chemistry. i have read the book and solved the exercises, and trust me, i knew nothing about org and in about six months out of my own interest i am now at a stage with hardwork able to pursue synthetic chemistry as my expertise. 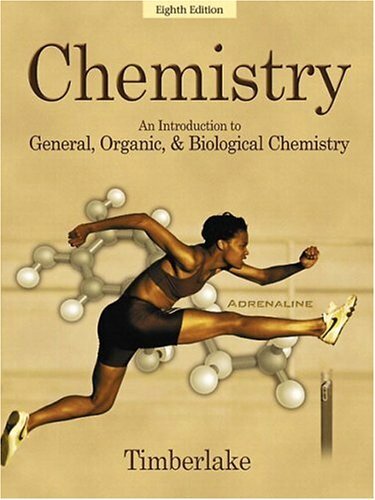 i believe this book not only helped to learn org chem, but helped me to make my career choice. a good book teaches you the concepts behind the theory, but a great book inspires you. i belive this to be a great book. A popular introduction to organic chemistry whichstresses the importance of molecular structure in understanding theproperties and principles of organic chemistry. Providesa wide variety of spectra to be analyzed. Features four-color photographsthroughout. This text is a remarkable departure from the mundane world of organic chemistry texts. Not only does Dr. Bruice lay a good foundation by discussing electronic structure and nomenclature right upfront, she does a great job of including a historical perspective of the subject as well. This book is about understanding the material and applying your new found knowledge to solve problems never before encountered. This book is not about memorizing 400 reactions and trying to fit everything together on your own. One of the main departures this text has to offer is the detailed discussion of catalysis and bioorganic chemistry. Most students really enjoy the biochemical aspects of the subject and Dr. Bruice makes these connections throughout the book. I highly recommend this book dispite the few typographical errors mentioned in other reviews (what text doesn't have a few?). The improved artwork and simplicity of dialog is refreshing. 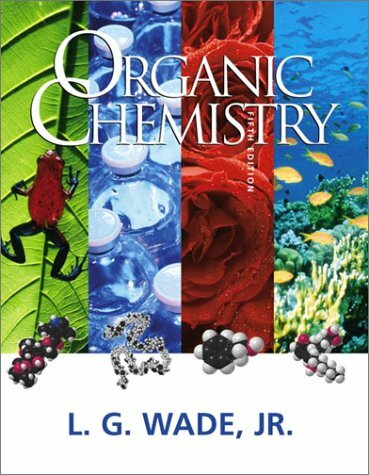 A well organized book that approaches the subject in a way de-emphasizes rote memorization and helps the student master the subject by understanding the unifying principles of organic chemistry. Of particular value, the author provided numerous problems of varying difficulty. These problems were particularly well chosen by the author because they made the principles descibed in the text more readily understandable. In summary, it was a well organized, readable, and highly informative text on the subject of Organic Chemistry. I had this book for class, she really jumps on her subjects,not well organized. There are also numerous errors. About 30% of the answers in the back of the book were wrong. Excellent condition, prompt shipping! Thanks! 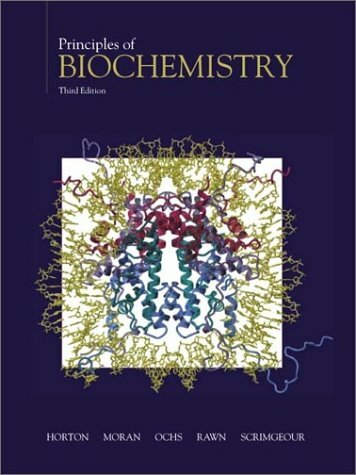 A great introductory biochemistry text! Filled to the brim with useful, concise information, and helpful explanations. It also has very complete coverage of a broad variety of concepts and fields of study of biochemistry. While it can at times get bogged down in the details, it was extremely helpful to me during my biochemistry class, and inspired in me a desire to continue educating myself in the field. I am keeping this book rather than selling it, because I'm certain it will be of great use to me in my further studies in biology and medicine. This text's clear explanations and descriptions of the mechanisms of chemical reactions teach students how to apply principles in order to predict the outcomes of reactions. Early coverage of acid/base chemistry allows students to quickly grasp the concept that the structures of organic compounds determine their chemical reactivity. This new edition offers a strengthened focus on biological applications that renders the text more accessible to the majority of organic chemistry students and more consistent with the interdisciplinary nature of scientific research. This text's unique pedagogy encourages meaningful analysis and evaluation. "A Look Ahead" sections at the beginning of each chapter introduce the chapter's main topics and objectives. "One Small Step" features apply familiar concepts to new reagents and reactions, encouraging students to analyze material rather than memorize the outcome to each new reaction. "Visualizing the Reaction" features help students recognize important reactions by demonstrating the complete mechanisms for each type of reaction. The "Problem-Solving Skills" sections offer students a systematic approach to solving organic chemistry problems, allowing them to reason their way to a solution. End-of-chapter materials include a summary that offers a concise review of major concepts or end-of-chapter tables that summarize the reactions that appear in the chapter. New! Complex synthetic concepts and reactions have been moved to chapter 21, which highlights synthetic pathways and strategies and includes new sections on solid-phase syntheses and combinatorial chemistry. New! Biological macromolecules and concepts are discussed in a separate chapter (Chapter 23). New! HM ClassPrep with HM Testing version V.6.1 CD-ROM includes lecture outlines and line art from the textbook in PowerPoint, the Computerized Test Bank and the Word files of the Test Bank in a new, easy-to-use interface with complete cross-platform flexibility, electronic versions of materials from the Instructor's Resource Manual, and a transition guide that directs instructors through this new edition. New! Icons in the text highlight chapter material that students can explore in further detail on the student web site and CD-ROM. Nuclear Magnetic Resonance (NMR) is briefly introduced in Chapter 5 to present ideas of symmetry and the chemical equivalence of atoms and groups. The student web site includes "One Small Step" problems, selected "Visualizing the Reactions" features, workbook exercises, concept charts, animations/ simulations, and a glossary. The Study Guide includes solutions to every problem in the text, Concept Maps (key concepts presented in an outline or diagrammatic form), and supplemental problems. Darling's Molecular Visions Kit helps students visualize organic structures and reactions. ChemOffice Ltd includes the introductory student version of ChemDraw and Chem3D, CambridgeSoft's premiere chemical drawing and modeling programs. The Instructor's Manual provides worked-out solutions to "One Small Step" problems, as well as supplemental problems for students, advice on teaching organic chemistry, and directions for in-class chemical demonstrations. The Test Bank contains over 1,200 multiple-choice and cumulative free response questions to accompany the content covered in the text. End-of-chapter tables review the stages of the reactions presented, reminding students of the types of reagents needed, the reactive intermediate involved, and the stereochemistry of the reaction. All problems in the text relate to real-life research performed by chemists. 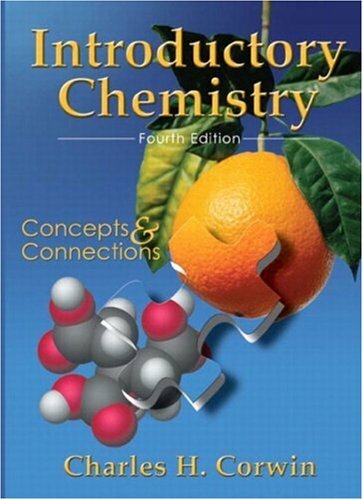 Simply the best organic chemistry textbook I've seen. I own three organic chemistry texts, and this one is the most helpful, hands-down. Excellent summaries, clear and concise text, very illustrative examples. Comes with a Student Solutions Manual that contains answers to _every problem_ in the text. Fantastic. 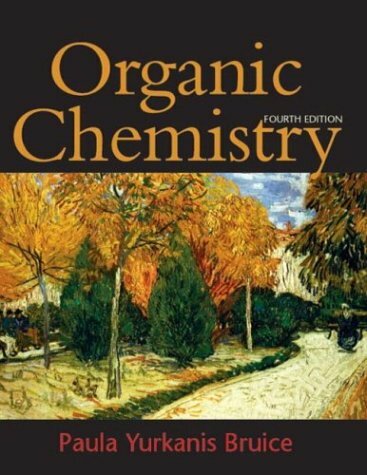 If you're having trouble learning Organic Chemistry, get this book. This author seems to put complex concepts in terms you can easily understand. I am currently studying out of the McMurry organic chemistry book and find it much more vague. 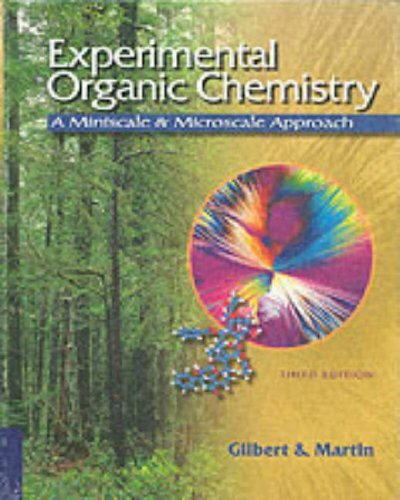 This is the book used for General Chemistry at the University of Florida. This book was occasionally helpful with equations and broad topics, but didn't go into enough detail on some subjects, especially in the Acid/Base chapters. Otherwise it's a decent reference. 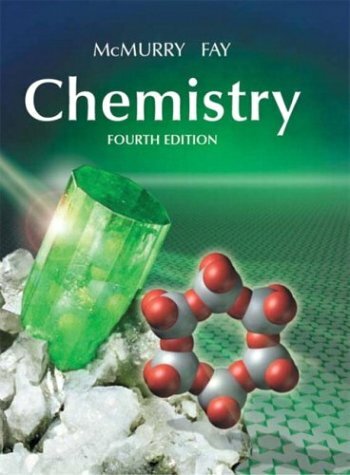 This is a very useful chemistry textbooks for a science student who studies independently. I like this book for several reasons: (1) It is comprehensive, (2) It contains detailed explanatins of WHY and HOW things happen,(3) The book includes numerous worked-out problems, and (4) The book is written in a very readable manner, containing straight-foward language and excellent graphic explanations. I am studying biochemistry now, and I go back to this text very often for the explanation of certain topics, eg. buffer problems. 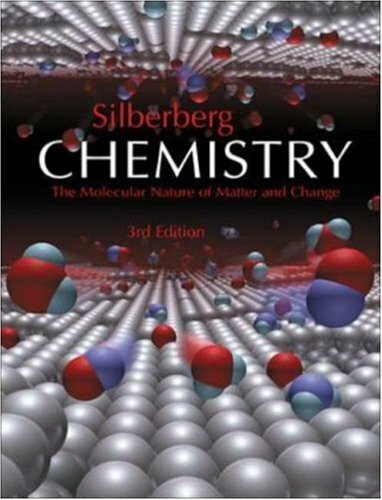 The coverage of organic chemistry is very basic in Silberberg's book. 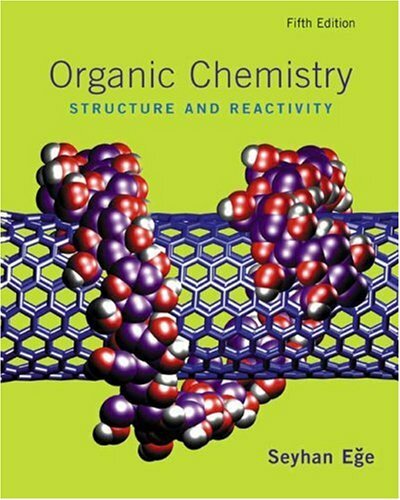 For in-depth coverage refer to Organic Chemistry: Structure and reactivity by Seyhan Ege (ISBN 0395902231), a very good book that emphasizes understanding, not memorization. A note: solutions to all problems in Ege's book are in the study guide. The book gives a clear and precise introductio to the mail concepts in chemistry. 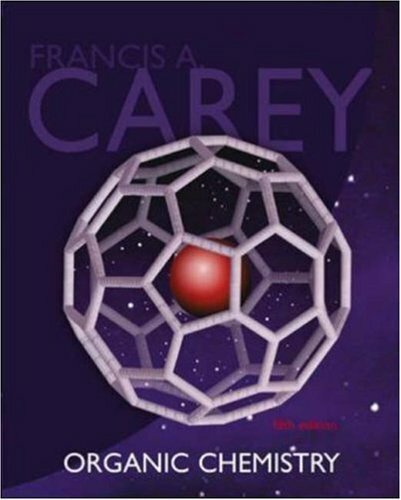 The excellent graphics, examples and discussions on frontiers of chemistry makes this book very useful, and motivates students to go deepest in knowledge. I was out of school for a long time, in fact, 16 years since I had high school Chemistry, so I was really nervous about taking a tough Chemistry course. I ended up doing great and I honestly believe you can learn the material from the text only. I think it is an excellent text with problems and examples that facilitate learning. My Physics text, on the other hand, is AWFUL! Avoid this book at all costs!! Chang's Seventh edition of Chemistry includes the core material of most chemistry texts. The material that is usually covered in high school or in a first year college course is presented in the first five chapters: Basic concepts; Atoms, molecules, and ions; Chemical Reacions; Aqueous Solutions; and Gas Laws. 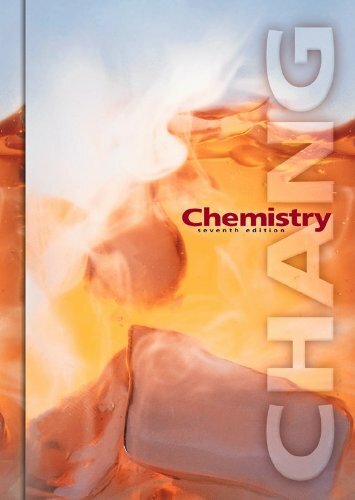 Further chapters include topics appearing in a comprehensive first year or second year course: Thermochemistry; Atomic Orbitals; Periodic Properties; Bonding; Intermolecular Forces; and Physical Properites of Solutions. Finally, the conclusion of general chemistry includes Kinetics; Acid/Base Properties and Equilibria and Solubility; Electrochemistry; and Nuclear Chemistry; among possible other topics. The book also includes several other topics that may not be covered in a class, such as Chemistry in the Atmosphere; Metallurgy; Nonmetals; Entropy and Free Energy; Transition Metals; Organic Chemistry; and Polymers. You might want to look into these chapters if you are planning on taking more advanced courses in chemistry(Organic, for example). I used this book for three courses in college. I did not consider myself a big fan of chemistry original, but found the subject much more interesting after opening Chang's text. I found the book rather easy to read and study. The material is presented in as much of a straightforward manner as is possible for chemistry. The numerous colorful pictures in the text made studying somewhat more enjoyable and definately made chemistry more interesting. The book also includes a handy keycard folder that features the periodic table and many other useful value tables. This book provides several useful examples and problems. It was very intrumental in forming my knowledge of basic chemistry. It is a useful tool for self-instruction. Truthfully, I think that I learned a lot more from the book alone than from any of my actual chemistry professors (no offense, but chemistry professors are some of the worst teachers in the world). I really did find the book quite interesting though (more so than my professors' lectures). There are several optional materials that are available with this book. The first is a web service that may be included as a feature of your university's internet course programs. It is quite helpful, providing study questions and practice tests. The second is the Student Solutions Manuel. You will probably want to pick this up if you want to know how to solve homework problems. There is also a Student Study Guide. This is somewhat optional. It is helpful, but I have found several errors in it. Finally, there is a "Ready Notes" book. I wouldn't really suggest to buy this. It just has text pictures with spaces to write information next to them. I'm not a conosur of chemistry books, but I can say that Chang has all the neccesicities for your general chemistry needs. I used this book for an advanced placement Chemistry class, and using this book made chemistry much more interesting and less of a chore. The explanations were clear to understand and easy to use for study, and the problem sets were very practical and interesting to solve. this book is the pits (it is actually worse than that). had i depended on this book to pass chemistry i would have failed SO i found an old copy of zumdahl's and everything became so much easier. i am sure this is a fine book if you do not need to pass a class. it can be pretty entertaining, but if you need to learn something save your money. This text is clearly written and explains basic chemical principles very well. At certain points it lacks details and depth. But for beginning students, this might be a plus. For a slightly higher level text, see Chemistry by Oxtoby, Freeman, and Block. 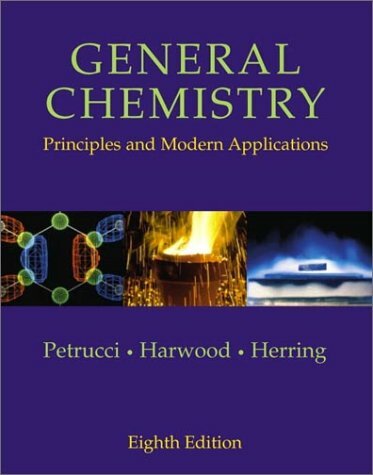 For a somewhat more innovative approach to college level general chemistry, see the text by Moore, Stanitski, and Jurs. Cheaper resources for struggling students include: The Complete Idiot's Guide to Chemistry, Survival Guide for General Chemistry, and Chemistry for Dummies.